Let’s go through some Aroma’s tasty highlights, shan’t us? 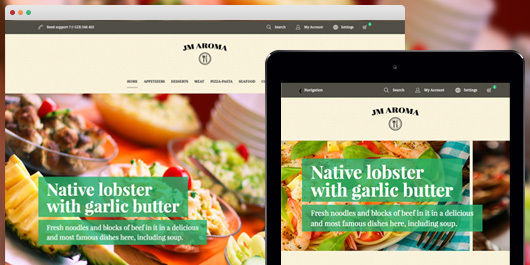 As any Magento 1.9 theme, Aroma supports responsive web design at core. Accordingly, your site will be auto confirm to different screen sizes at best. In such a golden age of mobile devices, being responsive will optimize your piece of cake in the fast-growing eCommerce market. 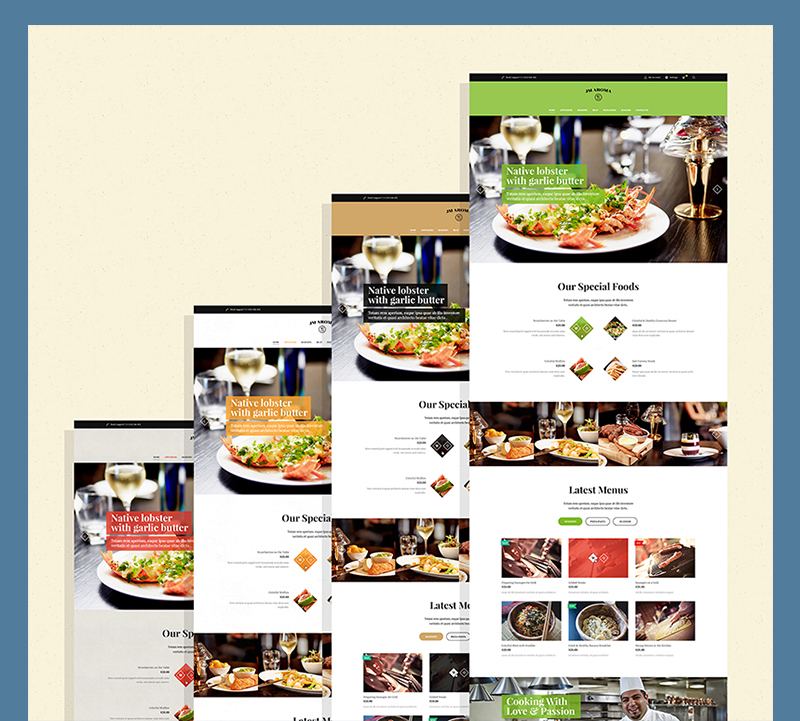 Responsive Magento theme Aroma comes up with such a sleek navigation system that guarantees the highest convenience of visitors travelling in your restaurant. 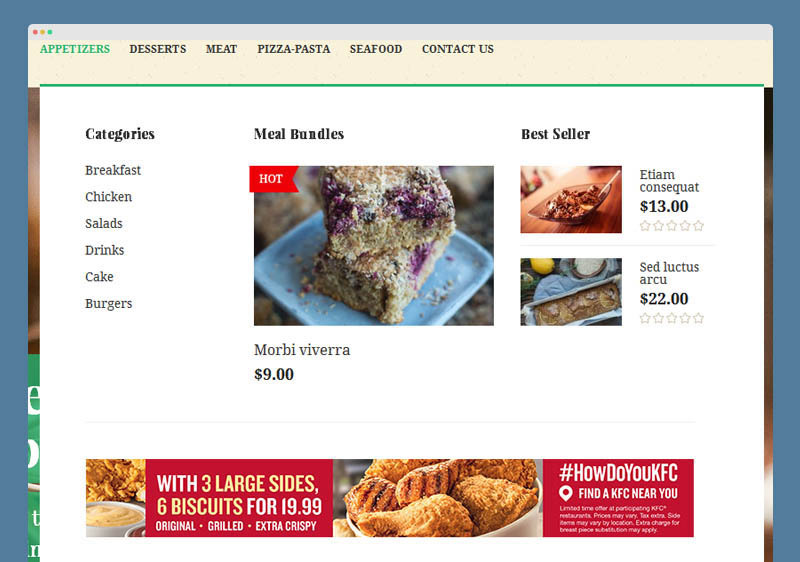 Mega Menu is surely a must for any professional eCommerce site nowadays. 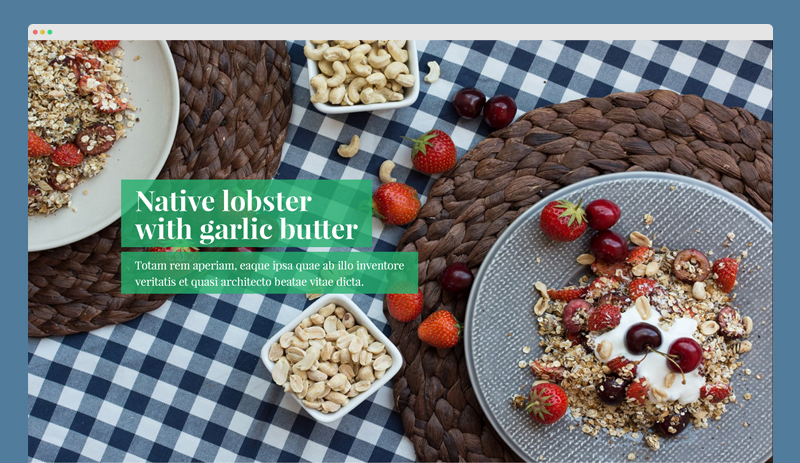 As a smart menu solution especially for sites with a wide range of products, Mega Menu gives you the best way presenting your catalogue while showing off ads and promotions at the same theme. Coming along with the responsive web design, Off-canvas parallel menu makes traveling within collapsed screens of mobile devices easier than ever. Just a click needed, and your visitors can jump from page to page freely without any clicking back to the main menu. Woot! Quickview function offers the quick access to any product item details. Instead of opening a whole new site as we used to, Quickview allows customers to get info for an actual product through a pop-up window. Plus, the Add-to-Cart button is sticky there for the comfort of your buyers. Aroma ships a lively category list within a slider. With a cool block for each category, you can surely present your list of product ranges impressively. If anyone hover on the list, the next categories will auto slide out. 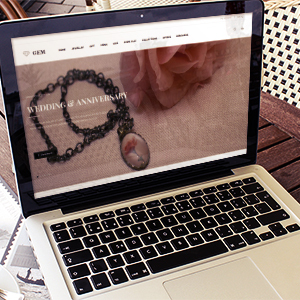 Will this full-width slideshow, your key messages can be delivered fully to visitors, guaranteed! Masshead is an elegant way of introducing your category pages. You can define image and text for each page and call it onto your front-end with each. 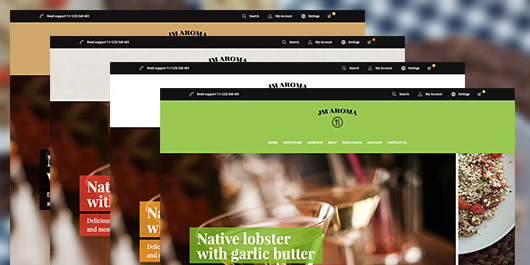 Responsive Magento theme Aroma is packed with 5 alternative theme skins. 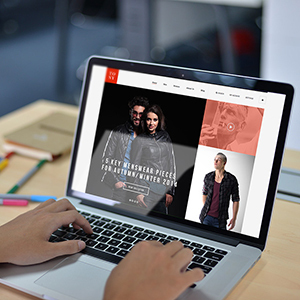 Thus, it takes 3 seconds only for you to refresh all over your site appearance within 1 click. 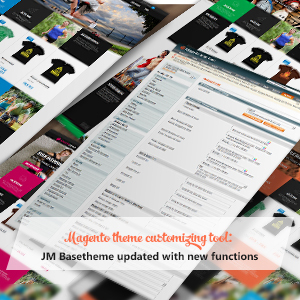 When it comes to theme customizing, it comes to BaseTheme. This powerful tool enforce you with such a full management over site appearance that you can easily choose unlimited colors for your background, header & footer or even small details like logo, next/back button or social icons. 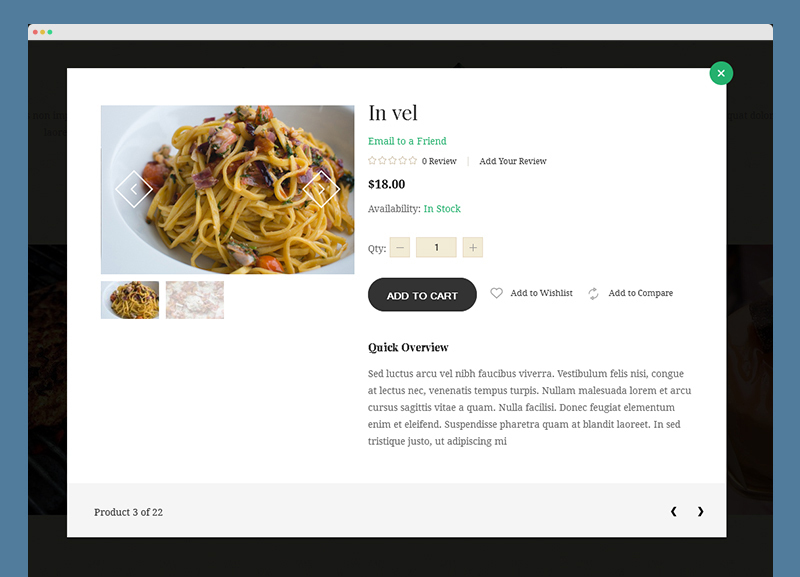 You also can redefine your product list layouts, not only for desktop views, but also for tablets and smartphones separately. Finally, you can choose to tag labels for selected items as Hot/Sales/New/etc. Not to mention, Aroma ships with the enhanced version of Basetheme with much stronger config functions. Check it out here. 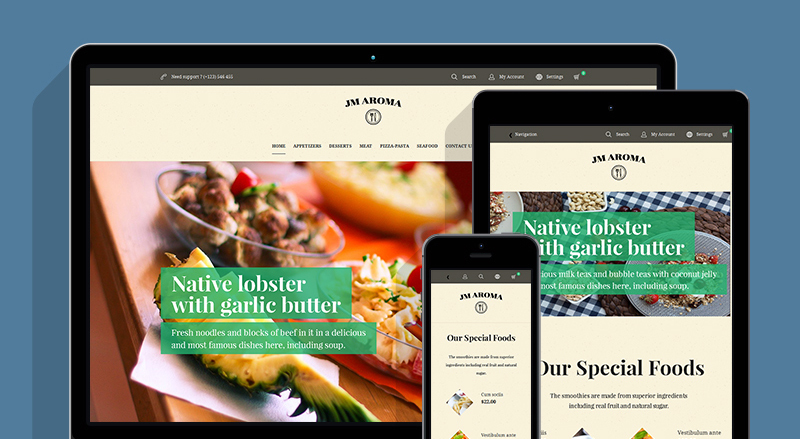 Hit on Live Demo of responsive Magento theme Aroma, and don’t forget that you can always built a Demo site yourself to experience mastering this premium product. I hope you’ll enjoy! Enjoy Demo Site Grab Aroma!